The first trailer for Roth's revenge-thriller has arrived, and at least to me it looks a lot like Denzel Washington's The Equalizer, which is a good thing. But there's definitely a little bit of Roth's nasty side showing. Willis takes on the role made famous by Charles Bronson, as a family man who goes vigilante to get revenge for his murdered wife and injured daughter, victims of an armed robbery. 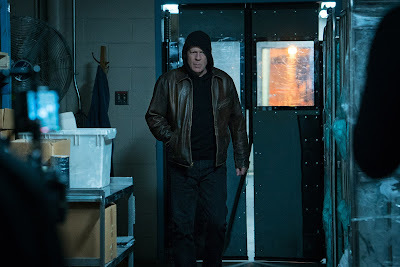 Death Wish opens November 20th and co-stars Dean Norris, Jack Kesy, Vincent D'Onfrio, Elisabeth Shue, and Beau Knapp.